Throughout 2013, the Design Build Institute of America (DBIA) has been conducting a national research effort on design-build procurement. The goal of the study is to evaluate the resource expenditure and efficiency impact of single-step as compared to two-step design-build procurement. Arizona State University (ASU) is collecting and analyzing project data for this study. So far, the preliminary results are very promising and show sizeable differences between the procurement cost and schedule of single-step and two-step design-build. These early results help quantify the inefficiency of single-step procurement that industry has been discussing for years. However, these results are preliminary and cannot be used to make generalized conclusions because they are still based on a small sample of projects. In order to use these results to inform procurement legislation with large owners, the observed differences must be validated statistically. The DBIA/ASU team currently needs procurement data from single-step and two-step projects in order to statistically validate the preliminary results of the study and render them defensible to serve DBIA members and industry. Therefore, ASU has developed a survey that is available both online and through this PDF to collect project information related to the timing and cost of procurement for your design-build projects. Please follow the survey link to participate and complete the questionnaire for a least one single-step project or one two-step project. The survey should take around 20-25 minutes, and the ASU research team will follow-up with you to provide assistance if needed. Feel free to contact Dr. El Asmar at asmar@asu.edu or 480-727-9023 for any questions. The received responses will remain strictly confidential; the data will be anonymously reviewed solely by ASU researchers and a copy of the national report will be provided to you upon publication of the research findings. Responses are due no later than January 15, 2014. DBIA has announced its 2014 Board of Directors. Jim L. Whitaker, Principal and Senior Vice President, HKS, Inc., will serve as DBIA’s Chairman of the Board. Additional membership elections include Peter Kinsley, Vice President - Water, Haskell, to serve as Vice Chair, and William Quatman, General Counsel, Burns & McDonnell Engineering Company, to serve as Treasurer. The new Memorial Bridge has received two honors for its design, innovations and construction, one from a national magazine and the other from the Design-Build Institute of America. Roads and Bridges Magazine has cited the Memorial Bridge as one of the “Top 10 Bridges of 2013” in North America based upon project challenges, impact to the region, and scope of the work. Looking for similar articles? Search here, keyword DBIA AWARD. Northwest San Antonio residents had better brace themselves for road construction at the already busy intersection of Loop 1604 and Hausman Road. The City of San Antonio’s Capital Improvements Management Services Department and its design-build contractor Sundt Construction will begin construction on an expansion of a 3.4-mile stretch of Hausman Road. The look of the City of Sequim, Wash.'s new city hall and police station is nearly set. The Sequim City Council gave the unanimous go-ahead on Dec. 6 to begin negotiations for the $11.85 million civic center with Lydig Construction and Integrus Architecture. City Manager Steve Burkett and City Attorney Craig Ritchie will meet with the design-build team this week with city councilors slated to review the contract at their Jan. 6 meeting. Nearly a year to the day after breaking ground for the first modular apartment building in its $4.9 billion Atlantic Yards development, Forest City Ratner Cos. plans to finally to begin assembling the units. The start comes amid dramatic developments on the financial side of the project. A look at the Instagram posts from the students at this year's DBIA Conference. Pennsylvania's $2.4 billion transportation funding law will enable the state Department of Transportation to use its Rapid Bridge Replacement Project on at least 200 more bridges than originally planned. Among the 998 bridges eligible for replacement are eight in Luzerne County, seven in Lackawanna County and four in Wyoming County. Recently, the Louisiana Department of Transportation and Development announced that the winning bid for the next project to upgrade U.S. 90, the future I-49 South corridor, to interstate standards came in under the anticipated contract amount. The winning bid of $57.1 million was submitted by James Construction Group of Baton Rouge and is less than the original DOTD anticipated contract amount of $75 million to $85 million. Burleson, Texas, City Council members at their meeting recently decided to move forward with a new building design process, inching ever closer toward completing plans for the new Burleson Police Department. Voters in November passed a $5 million bond for acquisition and remodeling of the space at 1161 S.W. Wilshire Blvd., the location of the new police station. This newspaper has a history of fretting about financial bubbles, and has frequently criticized central bankers for inflating them. In 1998 we urged Alan Greenspan, then chairman of America's Federal Reserve, to raise interest rates to dampen a stock market bubble. In 2003, four years before the financial crisis, we became worried about a housing bubble, and again urged central bankers to tighten monetary policy. Registration for the 2014 Design-Build in Transportation Conference and 2014 Design-Build for Water/Wastewater Conference is open! Register by Jan. 31 and save $100 on a Full Conference Registration. Organizations sending four or more full conference registrants receive an additional 15 percent discount. Register today! DBIA Close to 1,000 Twitter Followers! DBIA uses Twitter to post information, news and resources related to design-build and we also post deadlines and other reminders about DBIA events. Our followers include journalists, industry executives, thought leaders in integrative project delivery and, soon, you and your colleagues. 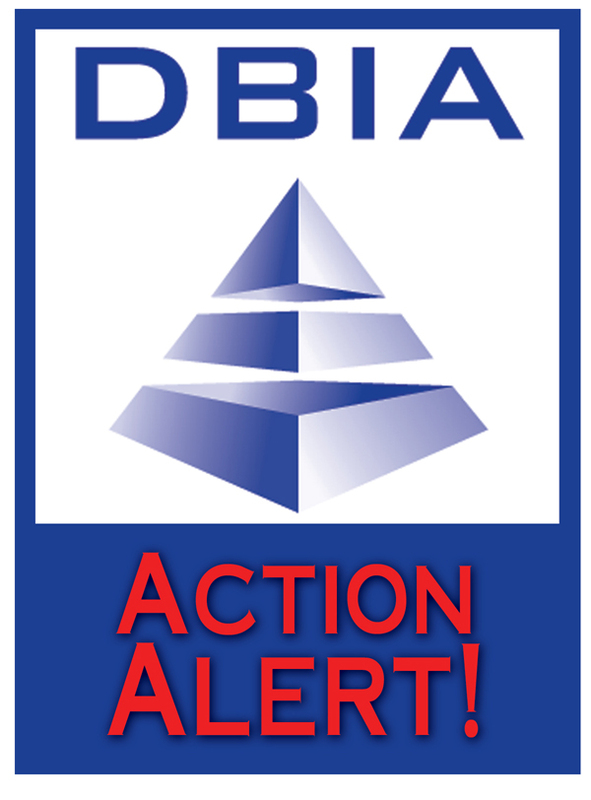 Do you follow DBIA on Twitter? DBIA is just shy of achieving a significant milestone of 1,000 followers. Could you or your colleagues be our 1,000th? Help us celebrate this milestone by asking a friend to follow us. Follow us here.